In the US, about 250 million pounds of batteries wind up in landfills each year - along with a variety of toxic heavy metal ingredients. Now more than ever, rechargeable batteries are part of the solution. 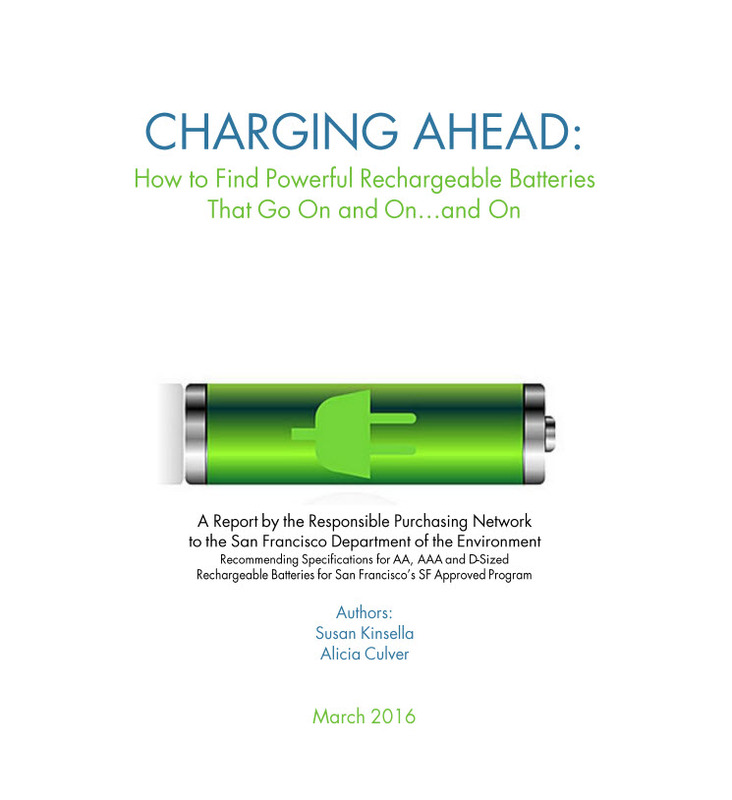 In our new report, Charging Ahead: How to Find Powerful Rechargeable Batteries that Go On..and On, the Department of the Environment teamed up with the Responsible Purchasing Network to survey the best of household rechargeable batteries, that is, those familiar AAA,AA and D cells. We reviewed the latest technologies, what is on the market, and the most important performance indicators to help you make a better choice. The good news: Rechargeables have improved dramatically. Previous generations of rechargeables suffered from self-discharge, that is, they would lose as much as 4% of their charge per day just sitting in the drawer. "Low self discharge" (LSD) technologies, introduced in 2005, have largely remedied that problem; however, navigating manufacturers' claims on what is or is not "LSD" is challenging. That's where this report might help. See our batteries page for where to buy LSD batteries, a summary of our report, purchasing specifications and criteria you can paste into contracts, and product names for AAA, AA, and D cells.